TiVo may get all the headlines and they certainly have a rabid following, including geeks who modify their units, add additional hard drives, and perform other tweaks. But I’ll tell you, I would not trade my Microsoft Windows Media Center Edition 2005 PC for a TiVo. I’m hooked baby! Especially when you consider that TiVo decided to betray their customers by ADDING their own commercials — check out the storm of controversy in the tivocommunity.com forums. I believe TiVo adds popup ads AS YOU FAST FORWARD through commercials. If I spent >$300 for a lifetime TiVo subscription (or pay their monthly subscription), I would be pretty peeved that TiVo decided to change the rules, when one major purchasing factor is the ability to fast forward through advertisements. And speaking of subscriptions, that’s another reason why I love my Windows Media Center Edition 2005 PC - NO MONTHLY SUBSCRIPTION FEE! The TV guide listings download for free via the Internet to an XML file which the MCE PC is able to display. One of the "knocks" against the MCE 2005 PC is that it’s too big - no one wants a bulky PC in their living room and they want something that easily slides into their entertainment system. Well, there are two solutions for that. One is to use a Linksys Media Center Extender (pic below) to wirelessly transmit the video/audio from the MCE 2005 PC to your TV. The second option is to use a small footprint MCE 2005 PC, such as ones from Alienware (pic below). Actually, there are quite a few small footprint MCE 2005 PC’s now that look very good in a home theater environment. Well, now Samsung is offering a small footprint MCE 2005 PC. Other than Sony, Samsung is the first "consumer electronics" company that is entering the Windows Media Center market. It looks like Samsung’s DM-T40/H300 hasn’t made it to the U.S. yet, but it is shown on their Korean website. With so many small footprint Media Center PCs available, there is no excuse for anyone to claim that Tivo is better due to its size. Besides, can you browse the internet on Tivo? No!. Can you check email on Tivo? No! Can you have a slideshow of all your pictures on the TV? No! Can you stream your favorite Internet radio station on Tivo? No! Can you skip past commercials with no ads? No! Can you play MP3s on your Tivo? No! Can you play Half Life2 on your huge 65" TV via Tivo? No! Can I have a videoconference on your TV using Xten or inititiate a VoIP call using Skype? All of these things CAN be done with a MCE 2005 PC. Case closed! The only reason why you may want to go with Tivo is price, PERIOD! 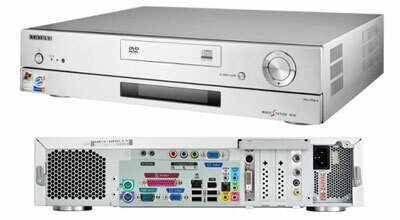 I do admit MCE 2005 is more expensive, but hey, you get what you pay for - a heck of a lot more features than Tivo. Heck, if you are in the market for a new or second PC anyway, you may as well buy a MCE 2005 PC and get the PVR functionality as an added bonus (amongst other cool features). And if you’re worried about the PC being used for the TV and not being able to use the PC while someone else is watching TV, you have a few options. 1) Buy a really old PC - doesn’t matter if it’s Win98 or Windows XP. Then use the Remote Desktop client (uses RDP protocll) to connect to the MCE 2005 PC remotely. (It’s similar to PCAnywhere) MCE 2005, like Windows XP supports multiple clients to connect using the Fast User Switching feature. So basically, you can access your fast MCE 2005 PC using a slow PC to surf the web, check email, etc. The only thing you won’t be able to do is play high FPS games over the RDP protocol. The RDP protocol was not designed for high-speed video motion. 2) Buy a long VGA cable, long keyboard cord, and a long mouse cord (or just go wireless keyboard/mouse) and then just extend these to a 2nd room. You may need to install a 2nd video card to be able to access the Windows Desktop while someone is watching TV though. All in all, MCE 2005 rocks and all the naysayers trashing MCE 2005 are just jealous in my humble opinion. OK, I wrote this and then I opened the original post in a new tab, planning to cut & paste this there as well, only to see it was posted FEBRUARY 11, 2005! Why is a post that is over three years old, and VERY out of date, being re-posted here as *NEW* with today's date on it? That's terrible! If you're going to slam TiVo, at least *try* to get your facts correct. Can TiVo show a static ad while fast forwarding over a commercial? Yes. But very, very few ads are flagged for this. And really, you have to be pretty unstable for this to bug you. You're fast-forwarding over a commercial for Pepsi and you see a quick static image ad for Pepsi. Oh my god! The world is ending! Besides, can you browse the internet on Tivo? No! Can you check email on Tivo? No! Yes. There are HME applications that will allow you to see your email on the TV via TiVo. Can you have a slideshow of all your pictures on the TV? No! Yes. TiVo has had photo viewing built in for YEARS. You can view photos from a PC on your LAN, or you can access sites like Picasa and Photobucket. Standard. Can you stream your favorite Internet radio station on Tivo? No! Yes - if they're in MP3 format. Can you skip past commercials with no ads? No! Yes. 30-second skip. You don't even get the static ads while FF that seem to bother you. Can you play MP3s on your Tivo? No! Yes. Again, TiVo has had MP3 playback for YEARS. Stream MP3s from a PC on your LAN. TiVo also has built-in support for Live365.com and Rhapsody built-in. And HME apps for other music sites are available. Can you play Half Life2 on your huge 65" TV via Tivo? No! Can I have a videoconference on your TV using Xten or inititiate a VoIP call using Skype? All of these things CAN be done with a MCE 2005 PC. Case closed! Can the MCE PC natively record digital cable channels? Not if you build it yourself. CableCARD tuners are only available in specific, expensive pre-built MCE models. CC tuners are not available to home builders, or in less expensive MCE models. And that is a problem recording HD content - HD capture systems that can capture from component are only now showing up for PCs, and they're expensive. So you have to add at least $300 *per tuner*, PLUS the cost of a cable box rental *per tuner*. And you have more boxes, more cabling, and the *joy* of IR blaster control. Or you can get a TiVo HD for ~$230, lifetime service for $399, and have dual tuner capability for analog and digital antenna and cable, SD & HD with not more fees. TiVo is arguably a better DVR than MCE with the options available with Season Passes and Wish Lists. But it goes further. TiVo, as above, can show your photos and play your music. 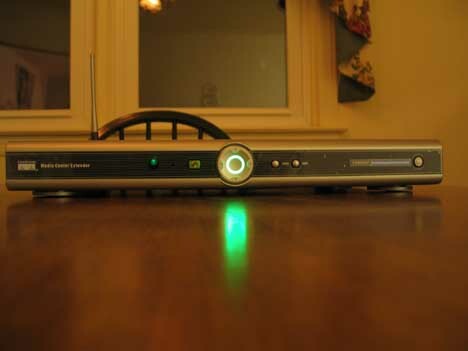 You can transfer video from the TiVo to a PC - and from a PC to the TiVo. TiVo has built-in support for Amazon Unbox, Live365, Rhapsody, Picasa, Photobucket, Music Choice, Yahoo Weather, Yahoo Traffic, One True Media, Fandango, and more. There's also TiVoCast and TiVo Web Video. Coming soon YouTube, Jaman.com and CinemaNow will also be natively supported. There are 3rd party sites like Apps.tv and PlayTeeVee.com with more content for TiVo. All with TiVo's solid UI and controllable from a simple remote. So it isn't like TiVo is just a single purpose box and MCE is somehow vastly better. MCE is a fine solution, and it should stand on its own merits without having to erroneously slam TiVo to try to make MCE look better. It just looks ignorant when you state TiVo can't do things that it has done for years and you'd know if you so much as loaded TiVo.com once.